Ryan Adams’ 1989 reviewed by Pitchfork: Why are Taylor Swift’s albums only worth reviewing when others cover them? 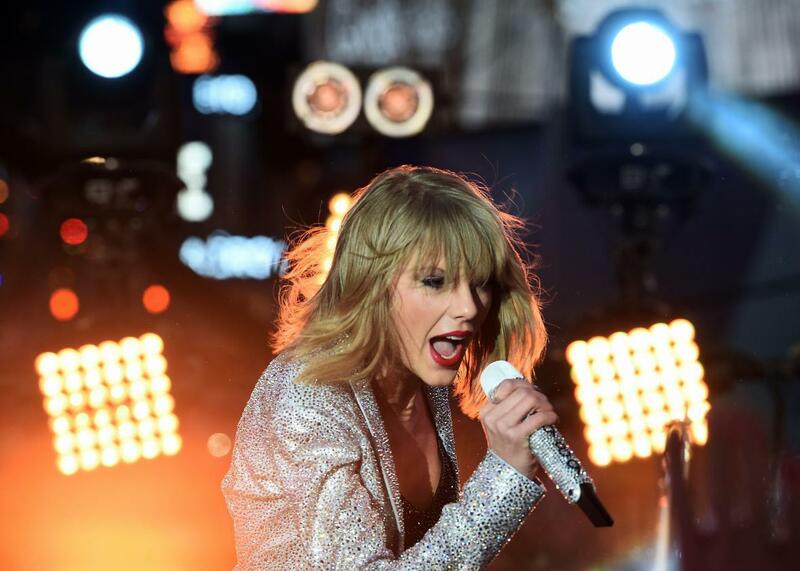 Why Doesn’t Pitchfork Review Artists Like Taylor Swift (Unless They’re Covered by Ryan Adams)? Taylor Swift is the biggest artist in music, and one of the most critically acclaimed. So why did Pitchfork only start reviewing her albums after they were covered by Ryan Adams? Back in August, after Ryan Adams first let slip that he was working on an all-covers version of Taylor Swift’s 1989, I tweeted a prediction: Ryan Adams’ 1989 would be the first Taylor Swift album ever to be reviewed on Pitchfork. Sure enough, even though Swift is the biggest artist in music, and has been going multi-platinum for almost a decade, it took a guy’s acoustic covers for one of the most successful and influential music sites on the Web to finally deem an album of her songs worthy of one of its 25 reviews per week. If you don’t see a problem with this, you’re likely to cite one of three reasons. Perhaps the most likely is this: You think she’s just not good. You are entitled to your opinion! But you should know that most critics disagree—including, it turns out, Pitchfork’s. Last year, the largest and most respected survey of music critics, the Village Voice’s annual Pazz & Jop critics’ poll, named 1989 the No. 7 best album of the year. Her three previous albums all placed high in their years as well, with Red at No. 17 in 2012, Speak Now at No. 26 in 2010, and Fearless at No. 58 in 2008. Pitchfork has never liked her as much as most critical publications, but she’s been quietly making its Best Singles of the Year lists since 2009, and last year the site named 1989 the No. 31 best album of the year, even though it wasn’t one of the more than 1,000 that Pitchfork thought worthy of a review. The second explanation I’ve heard suggested is that Taylor Swift is not “indie,” and Pitchfork is an “indie” publication. Even setting aside the myriad insidious prejudices inherent to espousing “indie,” this notion is several years out of date. For one, Pitchfork routinely reviews major-label artists and names their albums the best of the year: Kendrick Lamar topped its list in 2012 with Good Kid, M.A.A.D. City (Interscope/Top Dawg), Kanye West topped its list in 2010 with My Beautiful Dark Twisted Fantasy (Def Jam/Roc-a-Fella), and its highest-rated album last year was D’Angelo’s Black Messiah (RCA). For that matter, the site has reviewed every single one of Ryan Adams’ albums (his vinyl-only “sci-fi metal concept album” aside), even though most of them have come out on a subsidiary of Universal Music Group, just like Taylor Swift’s. And why wouldn’t you talk about Taylor Swift, or at least argue about her? Love her or hate her, if you’re a music publication reviewing 25 albums a week, how could you not weigh in on the biggest and most-discussed album of the year? I have a couple of theories. Swift isn’t the only major artist that Pitchfork declines to evaluate. There’s also the mega-selling Katy Perry, who has never been reviewed (despite releasing one of Pitchfork’s favorite songs of the last few years); singer-songwriter-producer Bruno Mars, who only gets reviewed when he collaborates with someone like Mark Ronson; and pop culture lightning rod Miley Cyrus, who only merited a review after she teamed up with the Flaming Lips. (Teaming up with a Pitchfork favorite is one of the more reliable ways to finally earn their attention. See also Carly Rae Jepsen, whose latest album was reviewed after she sought production help from Dev Hynes and Vampire Weekend’s Rostam Batmanglij, or Usher, who got his only review after he teamed up with Diplo.) Perhaps more interestingly, singer-songwriters Sia and Lady Gaga both used to be reviewed, but after their albums started hitting No. 1, Pitchfork stopped covering them. It’s not that they don’t cover any pop stars—after all, since the mid-2000s, they’ve reviewed every album by Beyoncé, Rihanna, Justin Timberlake, and R. Kelly, juggernauts who lean further into R&B. I toyed with the notion that Pitchfork’s decisions have something to do with some vague notion of “edge.” Swift has always made a point of being a good role model for her legions of young fans, and Perry’s shtick is to play a naif—they’re not the kind of artist most people find “edgy.” But in what world are the button-pushing Miley Cyrus and Lady Gaga, or even the outwardly feminist Swift, less subversive than, say, Bon Iver singing sad songs about his broken heart? Pitchfork, I’d suggest, could learn something from this. Because for a site that’s known for pushing its readers’ tastes and staying ahead of the curve, these choices often leave them behind the times. Indeed, one of the great fallacies in rock criticism and especially indie-rock criticism is to assume that the underground is always where greatness is happening, while pop stars (especially those that have female fans) rarely move the ball forward or make anything that lasts. Pitchfork, like any student of pop music history, should know by now that this could hardly be farther from the truth. After all, the last artist before Swift to release four consecutive studio albums that each spent six or more weeks at No. 1 on the Billboard 200, an artist whose fans were also mostly young women, was the Beatles. Even just last month, the site published their list of the best songs of the 1980s, and it included Whitney Houston, Diana Ross, Janet Jackson, Kate Bush, and Madonna. I’m left wondering: If Pitchfork were around in the 1980s, would the site have even given all those artists a review? *Correction, Sept. 25, 2015: This post originally misstated that the six editors at the top of Pitchfork’s masthead are all men. The first three names listed aren’t editors; they are the founder/CEO, president, and vice president.